What’s the difference between a Sending and Sharing assets? A Send and a Share are subtly different. 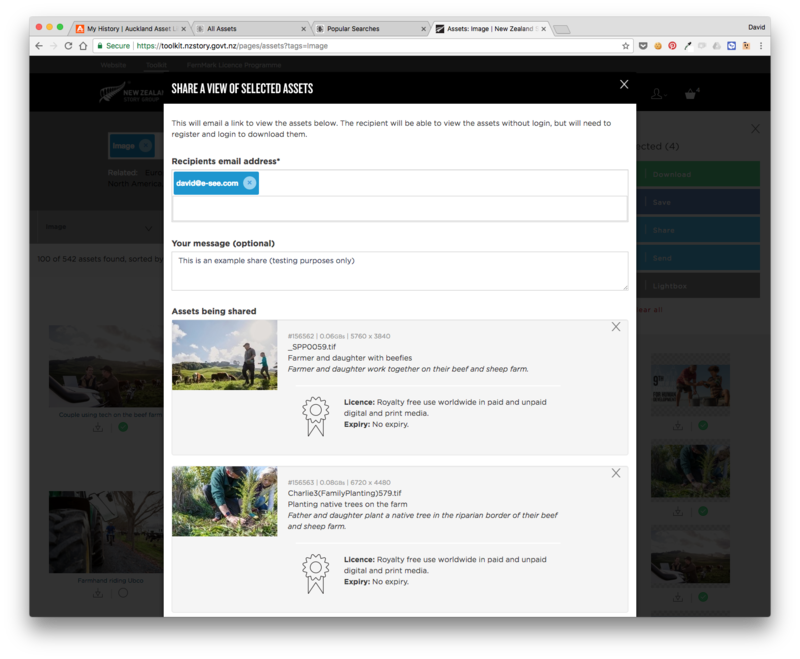 As well as being able to Download and Save selections of Assets, users can also (may depend on Role) Share or Send Assets to third parties. 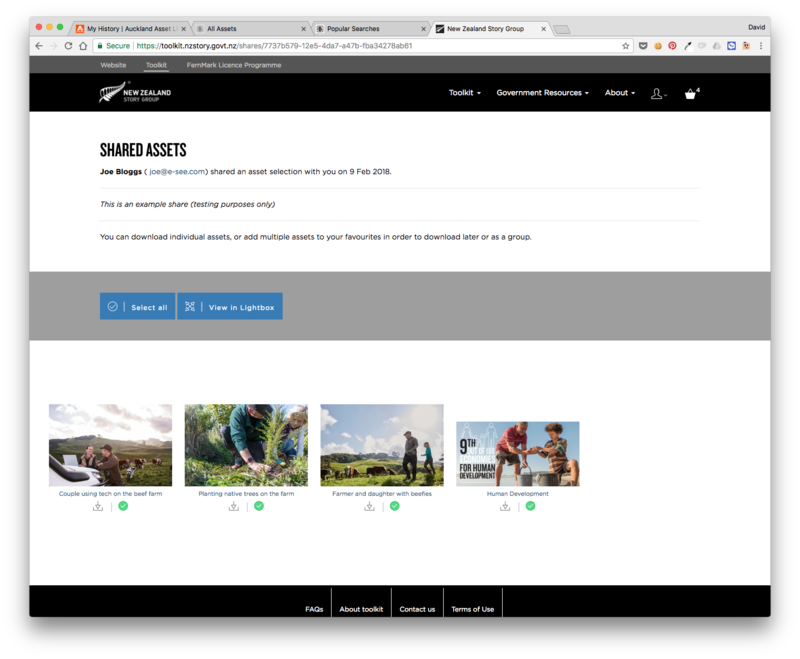 A Share enables you to share a view of selected assets. So you can collaborate without giving download rights. When a user receives a Share they will need to login (and have the appropriate user rights) in order to download. Note that with a Share there's no Expiry date. ...and that the Recipient receives a link to a View of your selected Assets (as seen above). They will still need to login in order to Download. A Send enables to to send a link to download the selected assets. You are granting Download rights and the recipient DOES NOT have to login (and doesn't need to be a registered user) in order to download. 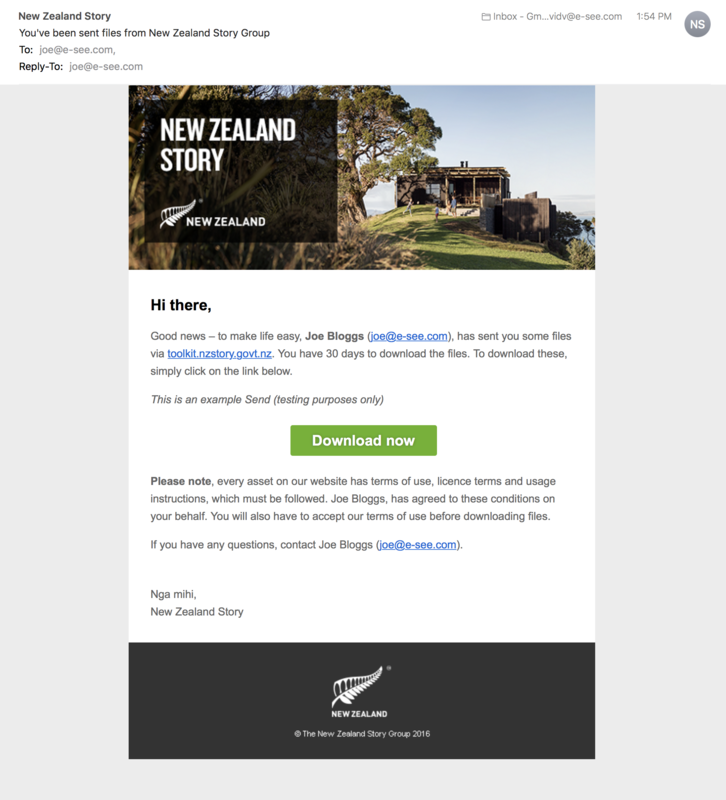 Example of the email that the recipient receives, from customer NZ Story. 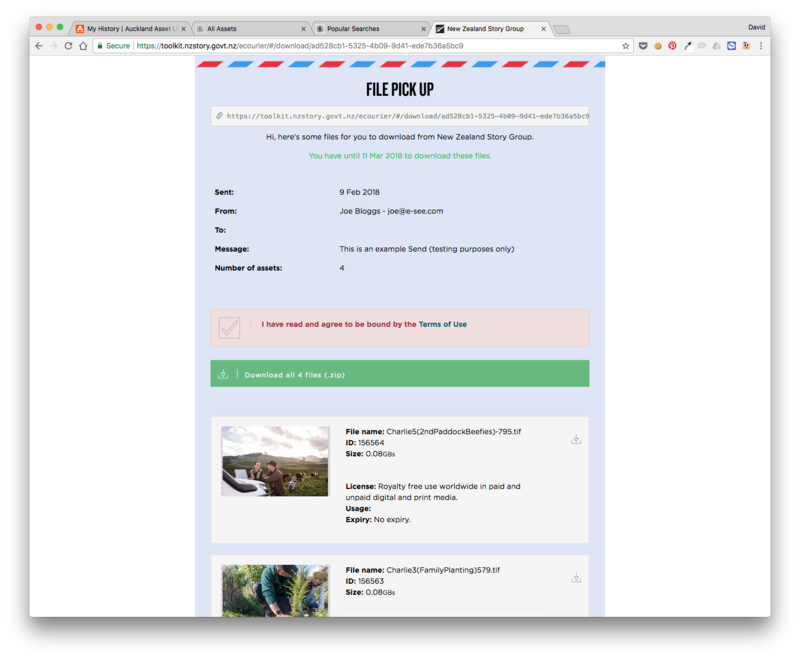 Clicking the [Download Now] button then take the recipient to a File Pick Up page as seen page below. 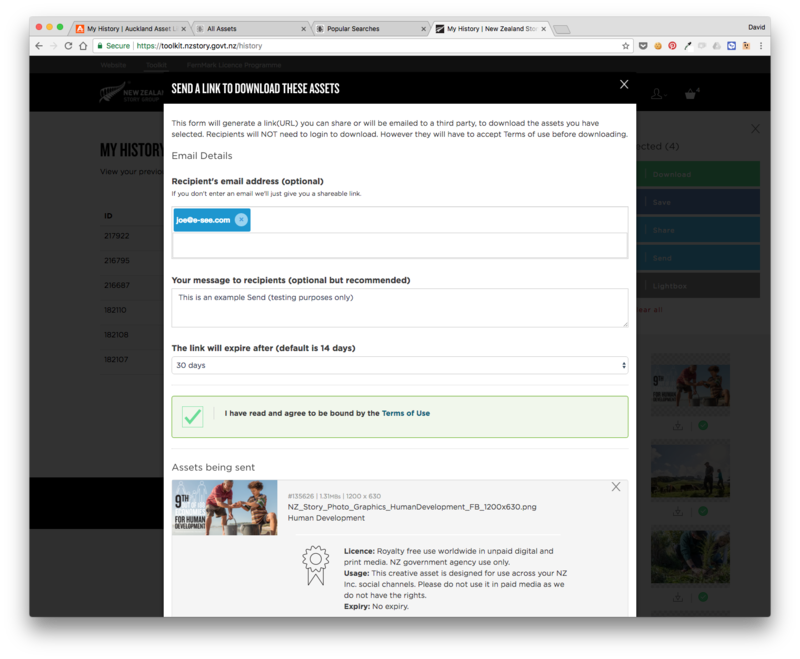 The Send landing page (as seen above) can also be customised to look more like a Login Wall with a custom background image and branding. Contact Brandkit Support to set that up.